Nonesuch Records releases Tell My Sister, a special three-disc set comprising remastered versions of Kate and Anna McGarrigle’s beloved 1976 self-titled debut; its equally praised 1977 follow-up, Dancer with Bruised Knees; and a collection of previously unreleased songs, including solo and duo demos, on May 3, 2011. Joe Boyd, who produced the McGarrigles’ first two albums, assembled the material for the third disc in addition to serving as producer for the whole set. Tell My Sister is now available for pre-order in the Nonesuch Store, along with an exclusive, limited-edition commemorative poster. The release coincides with a two-night tribute to Kate McGarrigle—who died of sarcoma last year—May 12 and 13 at New York City’s Town Hall. Curated by Joe Boyd, the concerts will feature performances by Kate’s children, Martha and Rufus Wainwright, and her sister Anna, as well as Emmylou Harris, Antony Hegarty, Norah Jones, and Teddy Thompson, among others. Profits from the concerts will go toward creating the Kate McGarrigle Sarcoma Research Fund. Raised in an artistic family in St. Sauveur, Quebec, Kate moved to New York in 1969 to pursue a singing career while Anna studied art in Montreal. Both wrote many songs during this period, including Anna’s “Heart Like a Wheel,” which eventually appeared on their debut album (and was made famous by Linda Ronstadt in 1974), and Kate’s “The Work Song,” which Maria Muldaur recorded in 1973. It was another Muldaur recording of a McGarrigle song that first brought the sisters to the attention of then–Warner Bros. Records President Lenny Waronker. Among many other critical accolades, Melody Maker named Kate & Anna McGarrigle Album of the Year and the New York Times named it to its 10 Favorite Disks list, saying “This folkish debut disk was the most charming, purely beautiful and sentimentally moving record of 1976.” The album’s 12 tracks were mostly written by the sisters, with the few exceptions including a track by Kate’s then-husband Loudon Wainwright III. Although the album did not achieve commercial success upon its release, it has come to be seen as a classic over the ensuing years. To reserve your copy of Tell My Sister with the limited-edition poster, head to the Nonesuch Store now. Tribute For Kate Update. Welcome Norah Jones! When folk icon Kate McGarrigle passed away over a year ago after battling a rare cancer, not only did Rufus and Martha Wainwright lose their mother, but music lost one of its most unique singer-songwriting voices. McGarrigle inspired a host of high-profile musicians throughout her four-decade career, and EW can now exclusively reveal that jazz songstress Norah Jones will be joining an all-star roster of artists paying tribute to her in New York’s Town Hall this May. The nine-time Grammy-winner Jones will join an all-star roster of artists for a two-day concert event, which is set to include performances by Rufus and Martha, Emmylou Harris, Jimmy Fallon (appearing in a musical capacity), Antony Hegarty (of Antony and the Johnsons), as well as Anna McGarrigle, Kate’s sister and musical partner. The Canadian folk duo Kate & Anna McGarrigle came to prominence when their song “Heart Like a Wheel” was used by Linda Ronstadt as the title track of her most-celebrated album. 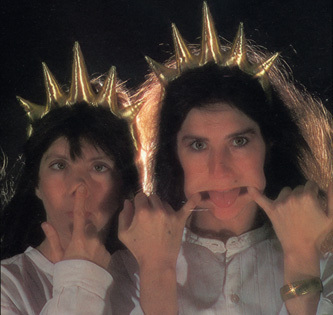 The sisters’ self-titled debut soon followed in 1975 to rave reviews and over the years the duo’s unerring sense of composition earned Kate an eclectic fan club including Elvis Costello, Richard and Linda Thompson (whose son Teddy will perform at the tribute as well), Nick Cave and Neil Tennant of the Pet Shop Boys. Norah Jones and the rest of McGarrigle’s musical family and friends will play Town Hall on May 12 and 13th, with proceeds from both of the nights going toward finding a cure for sarcoma. Check out Kate McGarrigle singing the folk standard “Willie Moore” with her son Rufus on the British TV series Spectacle: Elvis Costello With… and enjoy her timeless talent. Adele, Kate & Anna on the same page..? This pic of Adele reminds me a lot of the pic of the two of us on the back cover of Pronto Monto. Kate’s NaCl – The Salt Song – a chemical love story animated by John Knowles.